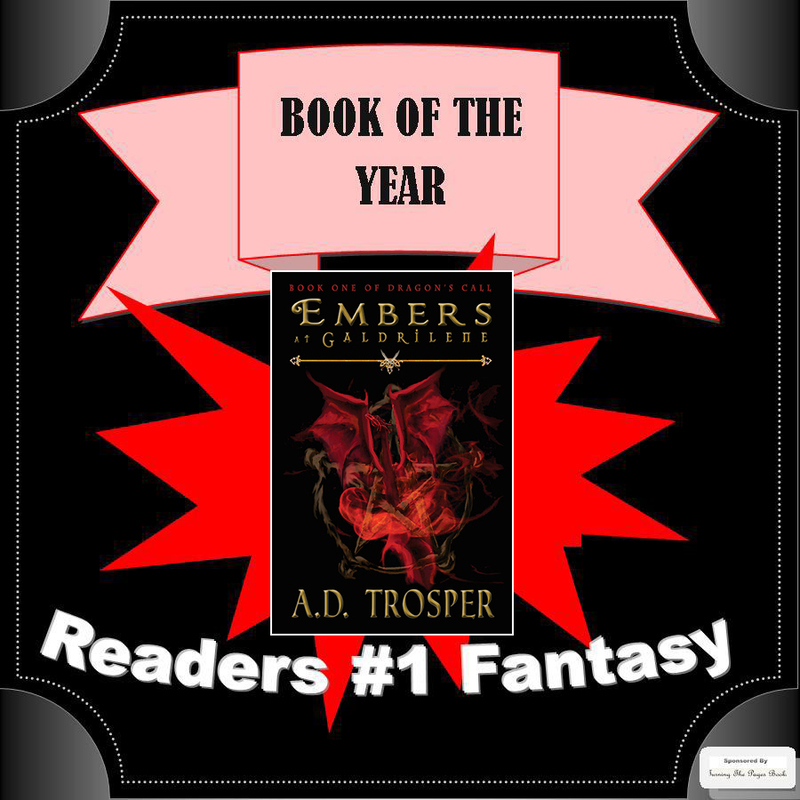 Embers at Galdrilene won the number one spot in the Fantasy category in the Book of the Year awards at Turning Pages! I am beyond excited! Authors submitted their books, the readers voted. Thank you to everyone who voted for Embers at Galdrilene and congratulations to all of the other winners. And thank you so much to Turning Pages for hosting this awards contest. So excited for you. Congrats!